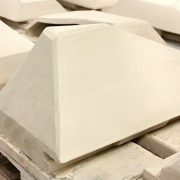 Boston Valley Terra Cotta has been working alongside architects, building owners, and contractors to manufacture architectural terra cotta, the ancient ceramic media, for 21st-century construction all around New York City. Take a walking tour of Chelsea to see some completed Boston Valley facades and ones that are currently in progress. Take a break from the AIA and step out onto the High Line. As you’re coming out of the Javits Convention Center turn right onto 11th Avenue, towards West 34th Street. Make a right onto West 34th heading towards 12th Avenue. The entrance to the High Line will be on the left side of the street. Enjoy the sites of the city from the elevated vantage point of the High Line until you reach the stair access at 26th Street. Once on street level, head down 26th Street towards 10th Avenue. Take a right on 10th and continue on for two blocks then take a right on West 24th Street. As you’re coming down West 24th Street, the Fitzroy will be on your left at 514 West 24th Street. The Fitzroy is a luxury residential building designed by IBI Group. 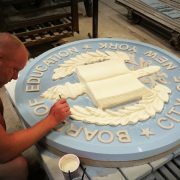 The building’s exterior, once completed, will be fully clad in custom green glazed terra cotta masonry units manufactured by Boston Valley. 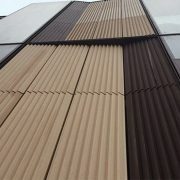 The luxurious Art Deco-inspired green facade will be accentuated by oak and copper clad windows. 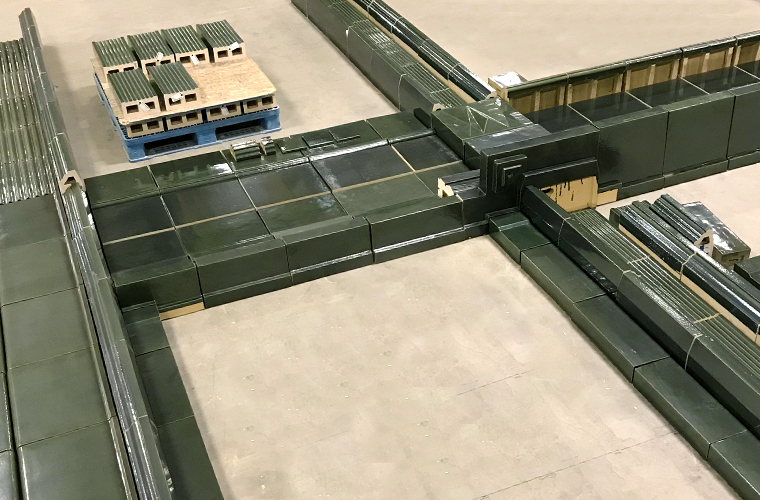 The masonry units of the Fitzroy laid out in a dry-fit mockup on the Boston Valley factory floor to ensure quality and accuracy. Continue down 24th Street until you reach 11th Avenue. As you round the corner heading southwest on 11th, you’ll be presented with Selldorf Architects 200 11th Avenue, a 16 unit residential building with breathtaking river views and a unique car elevator. 200 11th Avenue was designed to reflect the industrial architecture of its surroundings. 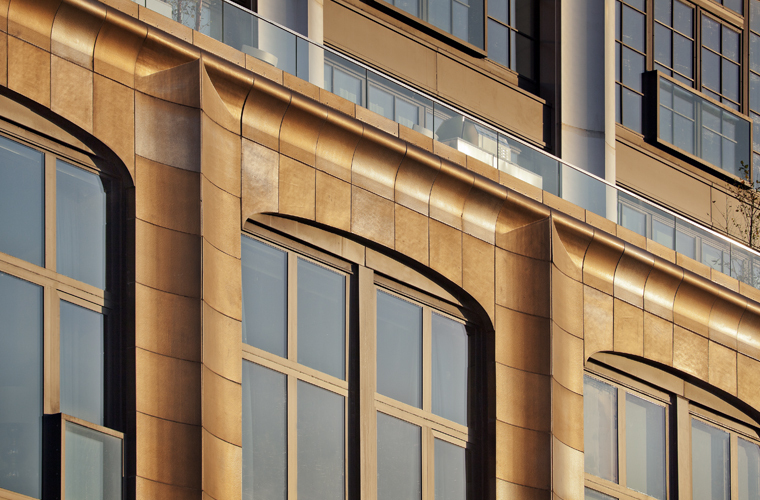 The buildings lower facade features custom glazed terra cotta cladding in a copper-like finish manufactured by Boston Valley. 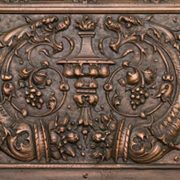 A detail shot of the custom copper like glaze of 200 11th Avenue. Once you’ve strolled past 200 11th Avenue, take the first left onto West 23rd Street to make your way back to the High Line. 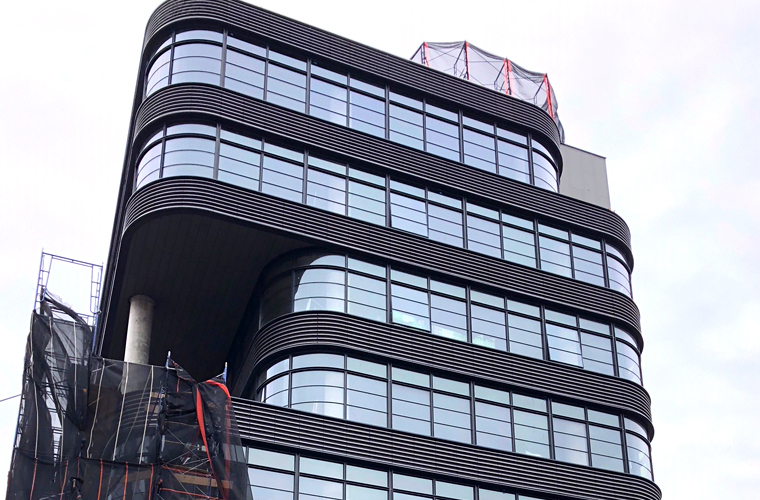 As you come up on the overpass at West 22nd Street, you won’t be able to miss 512 West 22nd Street, a curvy anthracite glazed terra cotta and glass-clad office building designed by COOKFOX Architects and inspired by the gallery and loft buildings that define West Chelsea. 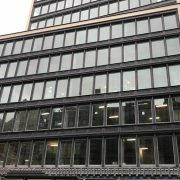 A shot of the installed terra cotta and glass facade of 512 West 22nd Street as the scaffolding is coming down. Continue on the High Line until you reach the stair access at 20th Street. Once you’ve reached ground level, turn right onto West 20th Street and then take another quick right onto 10th Avenue. One more right at the corner will bring you down 19th Street. 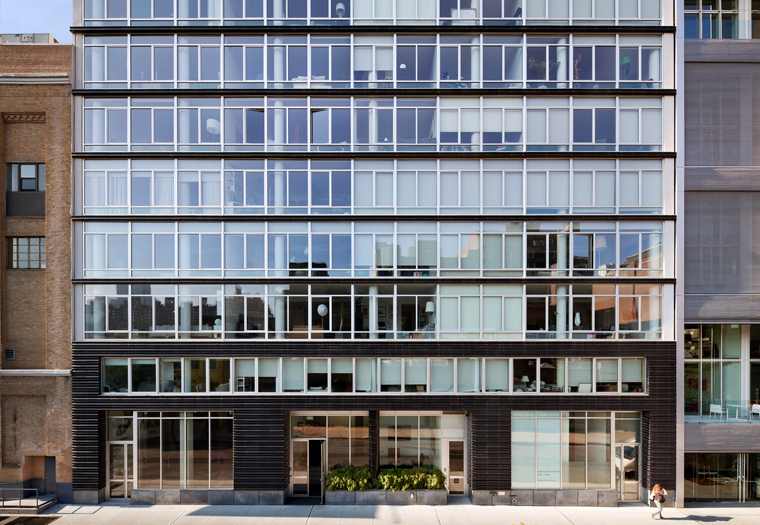 On the left side at 520 West 19th Street sits Selldorf Architect’s 520 West Chelsea, and 11-story condominium building with commercial space on the street level. 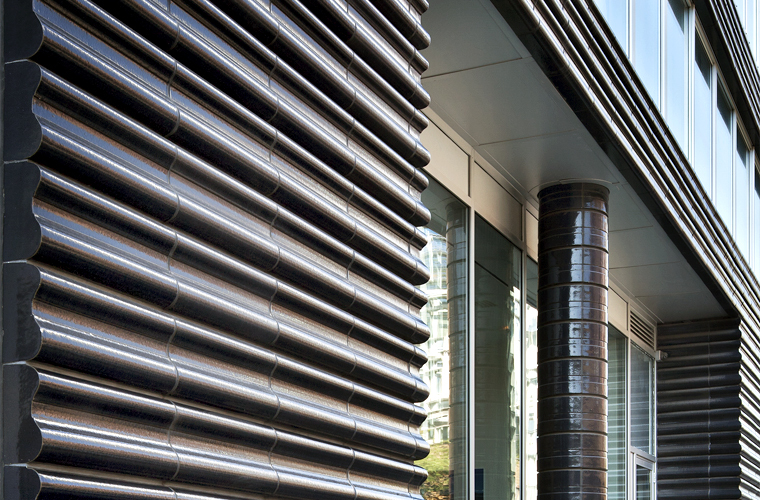 The lower level facade is made up of dark blue terra cotta blocks with a unique rounded profile. The terra cotta continues up the facade dividing the floor-to-ceiling windows of each story. 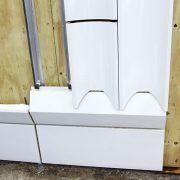 A close-up of the custom rounded profile masonry units of 520 West Chelsea. If that half hour wasn’t filled with enough terra cotta for you, take the opportunity to check out the progress of the Moynihan Train Station. 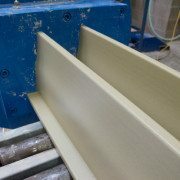 Currently, terra cotta pieces are being manufactured at Boston Valley Terra Cotta. 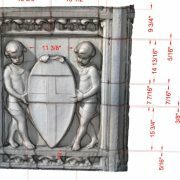 Masonry units from the original Penn Station serve as references for the new terra cotta masonry. To get the Train Hall from 520 West Chelsea, head Southeast on West 19th Street, back towards 10th Avenue. Once you reach 9th Avenue, take a left and continue on 9th Ave for a little over a half mile. Once you’ve reached West 31st Street, take a right and the Train Hall will be directly across from you. Renovations are already underway under the direction of architects at SOM (Skidmore, Owings & Merrill) with the scope of this architectural restoration project encompassing the interior reconstruction of 255,000 square feet dedicated solely to the train station with 9 platforms, 17 tracks, and a 92-foot high skylight. The building’s restoration also features an additional 700,000 square feet for commercial, retail, and dining spaces. 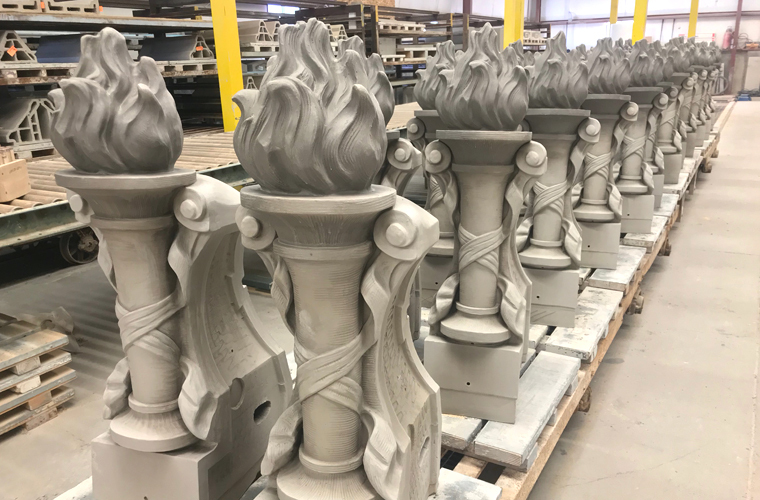 A row of terra cotta torches recreated for the facade of the Moynihan Train Hall.